Neyra is your one-stop shop for all your sealcoating supplies, tools and equipment needs. 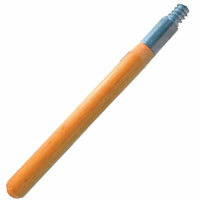 Filling material is staple set in a smooth sanded hardwood block with one threaded handle hole. First, brush the dressing into the cracks and holes, then use the squeegee to spread the excess dressing to the next untreated area. 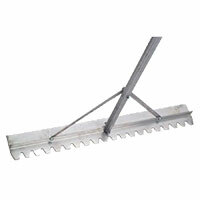 The brush and squeegee combination permits a fast and economical distribution of black-top dressing on driveways, streets, roofs and parking areas. 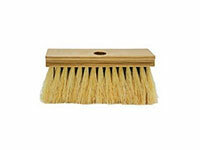 Filling material is staple set in a smooth, sanded, wax tumbled hardwood block with a standard tapered handle hole. 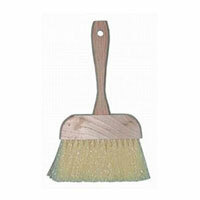 Ideal sealer brush for edging around curbs, light poles, concrete, parking blocks, etc. Cream-color Polypropylene fiber is staple set in wax tumbled hardwood block. 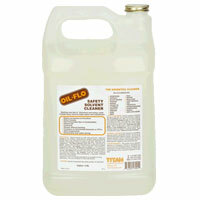 Recommended for applying sealcoating, cement slurry, water proofing, etc. 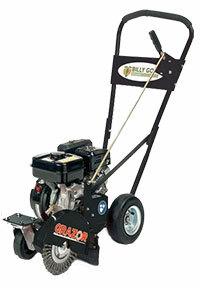 The sealcoating power brush is the preferred applicator tool for applying sealcoat. It applies a uniform coat of sealant with a single coat of application. 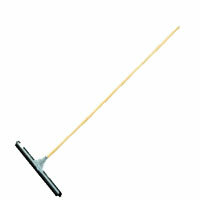 The sealcoating power brush comes in 24”, 36” and 48”. Engineered with the highest quality, lightweight,extruded aluminum/magnesium alloys, and Neoprene rubber blends to produce maximum performance under all conditions and applications. 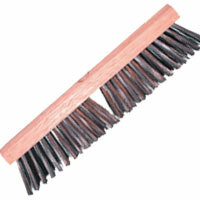 Bristles are staple set in a smooth hardwood block with one threaded handle hole. Filling material is not affected by sealants or petroleum products. 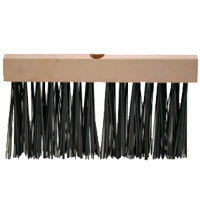 These brushes are designed for the professional sealant and blacktop material provider. This 3/4 brass full-port ball valve is good for your hose and sealcoat spray wand and promotes long lasting use. Little wonder is one of the highest performing blowers on the market. An advanced impeller design, coupled with an aerodynamically constructed housing and curved air inlet creates maximum air flow and horsepower. It utilizes a very strong and reliable Honda engine with rear tires that make it a breeze pushing on the parking lot. We offer a variety of carbon hardened steel nozzle sizes, from the smallest spray width, 80/20, to the widest, 80/70. We offer a 3/8” carbon hardened steel nozzle in two sizes: 80/50 and 80/70. 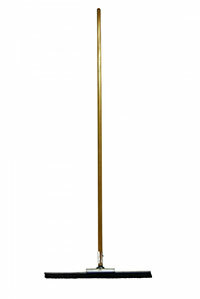 Our five-foot light weight spray wand makes your job easier. It comes with a 3/4 inch steel ball valve for longer lasting use. This device makes sealcoating large areas faster and easier and provides the most control for the professional spray applicator. The Little Wonder Crack Cleaner is perfect for preparing surface cracks for sealing and expansion joints for recaulking. 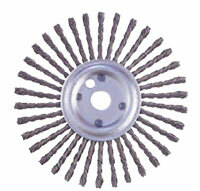 Heavy-duty twisted wire brush on a 9 inch disc. Use crack hoes to easily break up and dislodge particles, dirt and rocks from cracks prior to filling. The Little Wonder Crack Cleaner is a dedicated unit designed to clean cracks and crevices in asphalt and concrete surfaces. Clearing away debris and undergrowth is extremely important before laying down crack filler and applying sealant. Using the Crack Cleaner will save you time and allows for a more professional, longer lasting crack fill and sealant application. The MA10 Melter/Applicator is the fastest and most efficient method for the application of hot applied crack sealants. It can also apply materials from stationary kettles or any large melter. 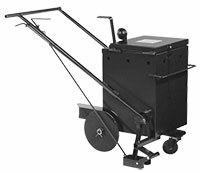 The MA10 is mounted on steel wheels and comes equipped with a spring loaded, hand-controlled release valve, hand agitator, steel screed for striking off the sealant in uniform width, burner assembly with hose, regulator, temperature gauge and a platform for propane bottles. 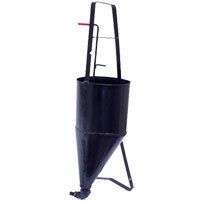 Our pour pot is made of 20 gauge steel, stronger construction, yet the total weight of pot is lighter. Adjustable three size pouring nozzle and on-drip finger-tip control valve. All welded construction can be burned clean repeatedly. Features leg stand that eliminates material spillage when pot is not in use. Capacity: Three gallons. 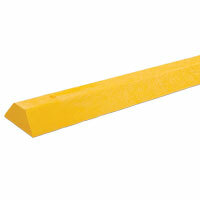 This is one of our most popular squeegees. Its unique V-shaped design makes it ideal for filling cracks. You can “push” or “pull” your material into the crack in order to complete the repair. 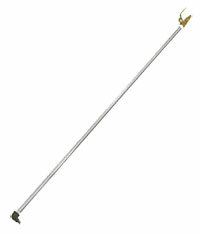 This squeegee comes complete with a 6’ handle and neoprene blade. 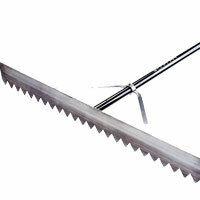 The 36” blade handle is made of space age magnesium (lighter weight than aluminum). The slightly smaller handle diameter allows hands to relax more while working and also allows a heavier wall thickness to resist bending, without increasing the weight of the lute. Heads are made of wear-resistant aluminum alloy. The 1/8” thick tee-beam has blunt pointed teeth with a notch, permitting mix to flow through easily without “gumming up.” The smooth edge is used for final finishing, leaving asphalt ready for compaction. Aluminum alloy teeth will not bend easily as with magnesium heads. Designed for tamping hot mix asphalt, gravel and dirt. 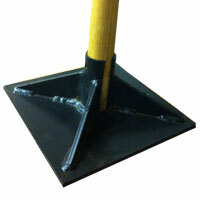 Cast aluminum tamp base has well rounded edges to eliminate marking. Size 6” x 8”. Lightweight: 8 lbs. These asphalt shoes allow workers to walk on warm material without leaving tracks. These shoes allow you to tamp and compact where power and hand rollers can’t reach. You can also walk on asphalt in comfort without compromising the finished surface. These shoes are made with heavy gauge galvanized steel and a durable custom-blended extra-thick felt sole for long wear and clean, neat foot compaction. A non-hassle quick release strap system allows quick in-and-out use. 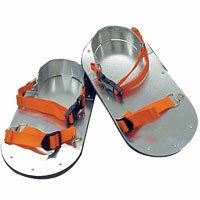 These shoes feature a steel foot bed and heel frame for added stability. One size fits most. 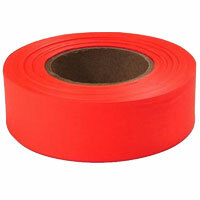 Prevents accidents by increasing visibility of hazards with non-adhesive barricade tape. Caution tape is lightweight and economical. Made of a polyethylene material with a three mm thickness. 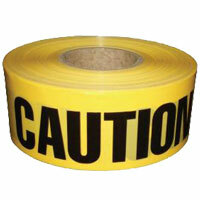 Highly visible flagging tape made from extruded P.V.C. 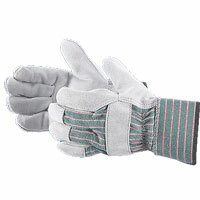 which is preferred by professional tradesmen, surveyors and sportsmen. With our bright orange fluorescent tape, you will be able to show traffic the certain areas marked off so your sealcoat job can dry. For barricading off job sites. Can also be used with flagging tape. Manufactured from 100% post-consumer, post-industrial recycled plastics. The unique processing of raw materials creates consistent air-pockets throughout each piece; thus allowing the parking blocks to breathe when exposed to extreme temperature changes. Our double leather palm shoulder split gloves with rubberized safety cuffs for durability provide you with excellent protection in harsh working environments. 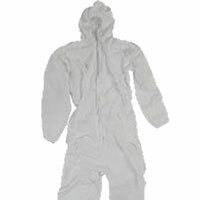 Full-size, lightweight, disposable coveralls are used to protect clothing and skin from splatters while providing added comfort. Great for sealcoaters and stripers. 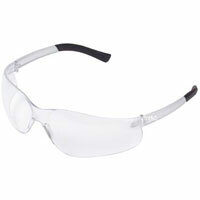 Protect your eyes from injury with our safety glasses that come in clear or smoked lenses. 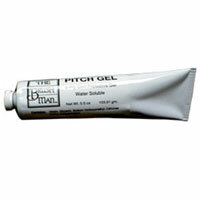 Our pitch gel protects the skin from irritation and pitch burns. Pitch gel is a barrier to fiberglass, asphalts, plasticizers, polyester resins, chlorinated and keton-type solvents, phenolic resins, epoxy resins, rubber accelerators, rubber adhesives, vegetable oil products and transformer oils. Use of gloves and other protection should still be used accordingly! Large Handicap symbol stencil, Fire Lane 4” stencil, Yield 4” stencil, Reserved 4” stencil and No Parking 4” stencil. Flat, oil-tempered steel wire, staple set in a hardwood block. Requires standard tapered handle. Round carbon steel wire, staple set in a smooth sanded hardwood block with two tapered handle holes. 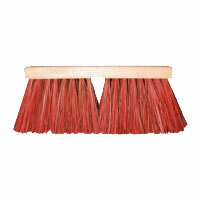 Wide flare on ends allows close sweeping next to curbs. 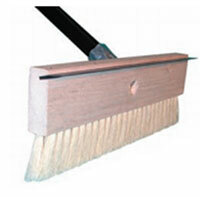 Carbon steel wire broom, staple set in a smooth sanded hardwood block with one tapered and one threaded handle hole. Our hand cleaner has a pleasant cherry scent and is enriched with emollients to leave the hands feeling great even after repeated washings. 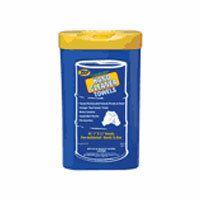 It is made with mild, low-odor solvents to produce clean, fresh smelling hands. 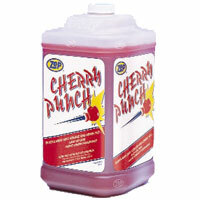 Cherry Punch quickly and easily rinses clean from hands and is also phosphate-free. Cleaner is a specialized product for removing organic stains such as asphalt, tar, coal, grease and oil. Oil Flo is biodegradable, water soluble and contains no harmful ingredients or chlorinated fluorocarbons.Watch this video to see how to remove asphalt and sealer over-spray with Oil Flo! 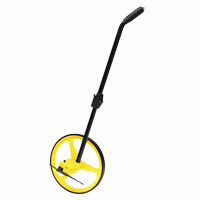 Professional grade measuring wheel for easy and accurate short or long distance measuring. 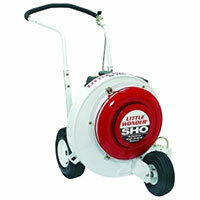 Durable steel construction with a four-foot circumference spoked wheel. Quick folding mechanism for transportation and storage at one half its size. Selected straight-grain hardwood with clear lacquered finish. One end rounded and the other end is equipped with crimped-on metal thread. Made of No. 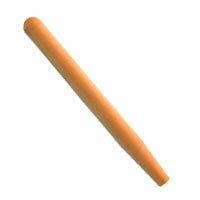 1 straight-grain hardwood smoothly sanded with one end rounded and the other end tapered. Durable lightweight magnesium head with lute handle. Head connects to handle using a bracket and two bolts. Tennis court surfacing tool that professional surfacing technicians use to apply tennis court coatings as well as small patches. Designed with a softer, thicker rubber blade at the bottom.